Garment Types: Printed sweater deals are only available on the Gildan heavy sweater. Which are 50% Cotton, 50% Polyester pre-shrunk fleece knit and weigh 279g/m² (265g/m² White). This deal is for a one colour print. As the diagram shows, this is a coloured print on a white garment or a white print on a dark garment. 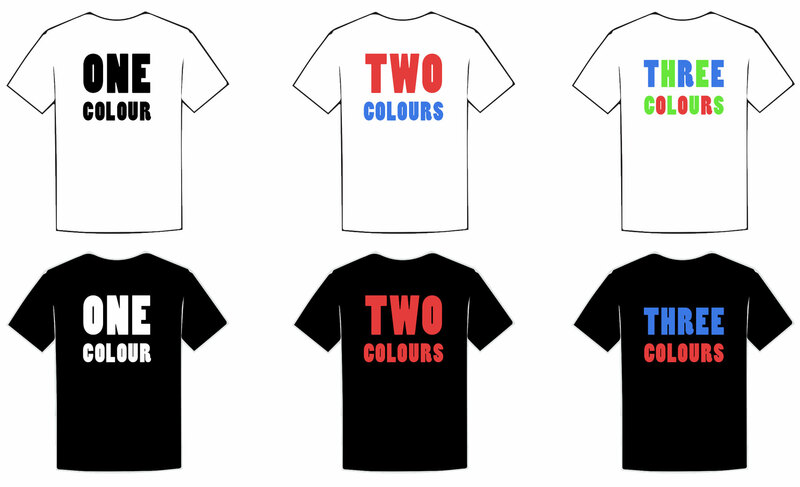 A coloured print on a dark garment would be two colours as a white under base is needed.